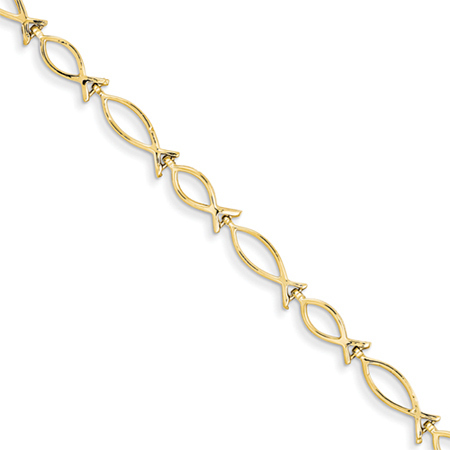 A 14k gold bracelet made entirely out of the Christian Ichthus symbol. Bracelet measures 7" in length. Includes secure, lobster claw clasp attachment. 14k gold weighs approx. 4.55 grams. 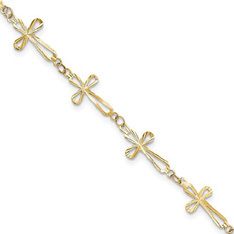 Our gold Ichthus bracelet is made in the U.S.A.! See our collection of Christian Bracelets. 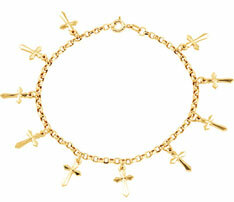 We guarantee our Ichthus Bracelet, 14K Gold to be high quality, authentic jewelry, as described above.